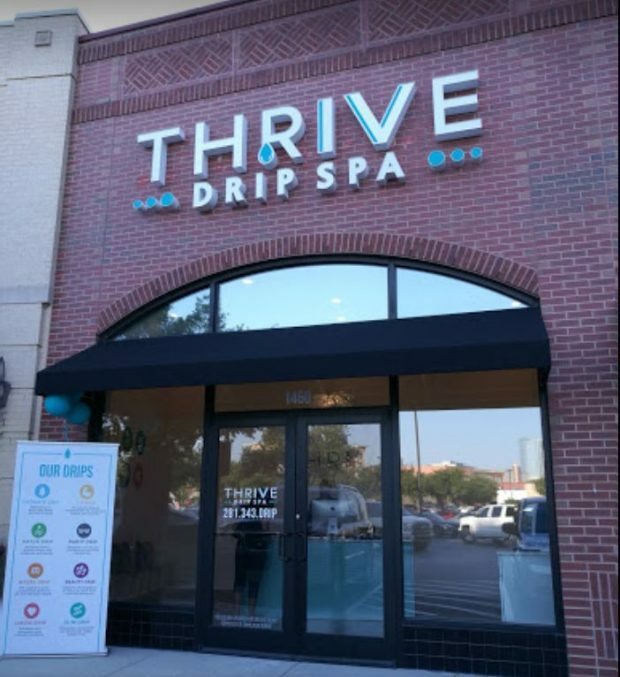 ThrIVe Drip Spa is an IV vitamin therapy and lifestyle wellness spa that has taken traditional medical treatments and given them a modern twist. As your area’s premier Drip Spa, we offer customized Drips and Boosters that maximize health, performance recovery, and wellness, all from one of our relaxing Drip Lounges. “Very soothing, VERY clean and minimalist atmosphere. The staff is very easy to talk to, and Robin is absolutely wonderful! I was even able to show her my recent bloodwork and tell her my symptoms she (certified nutritionist) was able to guide me to the appropriate drip option that would benefit me the most. Afterwards I left feeling refreshed and relaxed, not only from the IV but also just from relaxing in the big comfy chairs they have! A little pricey, but it makes sense really because it is basically giving your body nutrients DIRECTLY into the bloodstream. It’s safe and sanitary. I was fascinated by this process, but (lol) I almost feel like I’m cheating! Probably partly why it’s pricey. Definitely worth it, even for just the experience! “My first time doing any IV therapy and I had a great experience. Super friendly and professional staff that in my opinion, has customer service in mind. The place is beautiful and exceptionally clean as well. Now for the IV drip, I had no pain at all when they hooked me up or took it out and have been feeling great ever since. Definitely bring a book or something to read/entertain you. Previous BAC Trees professional tree service in the Houston area. Next Learn How to Start Your Own Health Care Agency Without Spending Thousands!